Cha Ching Ching Greenwood Home Sold!! Holloway Home Group sold a home in Greenwood, LA. Sellers moved to Biloxi, AL one year ago. The sellers tried to sell their home with a previous agent for 9 months. The home expired and Erin Holloway gave them a call to offer HHG’s services to get it sold . HHG offered a stager to get in showing condition and help from a professional photographer. We had great marketing to appeal to the most buyers and buyers real estate agents. We came up with a price that was in the market. Within two and a half months HHG received an offer from a relocation company buyer. Robert Cross did the inspection for this home, Magnolia Title did the title work, and Thank you to everyone who helped on this transaction. If your home has expired and having trouble getting your home sold, Find your way with Holloway. The newer subdivision Turtle Creek located in Benton is up to date and ready for buyers!! All the homes in this subdivision are new and move in ready. Each home is built with amazing curb appeal and large square footage, plenty of room to upgrade or start a family. There are large driveways, large front and back yards throughout the subdivision. Most monthly payment estimates to around $1,000 a month. Turtle Creek is just minutes away from Cypress Black Bayou Park & Recreation Area. Great place to go for a little family Summer fun! There is a yearly HOA in Turtle Creek of $250.00. The subdivision is gated, and most homes here sell between $200,000 and $400,000. Also Benton Homes for sale are part of Bossier Parish. Don’t wait! Buy or Sell today with Holloway Home Group. Bossier City home for sale on 1208 Boone St. Holloway Home Group just listed this property so we have all the details you need about it. This is a 2 bedroom 1 bath 1176 square foot home. It would be a great investment home in Bossier or a great home for first time home buyers just starting out. We can help you either way! There are many homes for sale in Bossier, the market is moving right along despite the cold weather we are currently having. Bossier City is a busy city, there are many many things to do to keep you entertained. You can actually get to this particular home from Barksdale Blvd, or Benton Rd. There are a few close restaurants dine in and dine out. Waffle House is just at the end of the road, and Wendy’s! A few miles down you will find Posados Mexican Restaurant, and its only about 2 blocks away from Pierre Bossier Mall. Below is a quick street map to give a better view. Search homes for sale in Bossier City, Investment Properties, or First time home buyers for more info on the home and many other homes available. Holloway Home Group is ready to assist you! Lake House SOLD in Shreveport!! This sale was a double whammy for Holloway Home Group. Erin Holloway (listing agent) had 5741 Lakefront in Willow Ridge for sale and Bobbie Hebeisen (buyer’s agent) found a buyer! It was a double sided sale for Holloway Home Group. The success of helping 2 families on one sale was phenomenal! Both the Hines family and the Santoro family were a pleasure to work with. We also used Bayou Title to ensure everything went smoothly. This Shreveport lake home is 2411 sqft, and sold for $365,000. Throughout the closing process we kept both the buyer and seller very updated to make them feel a little more relaxed. We enjoyed very much both of these families and helping them achieve their home buying and home selling goals. Thanks again to everyone who assisted in this closing. Search Shreveport homes for sale. Sell or Buy today. No sooner than this home was built by Shivers Brothers of Louisiana LLC, it was already picked out and SOLD to the Smith’s. This home is a new construction home in Norris Ferry Crossing in Shreveport, LA. 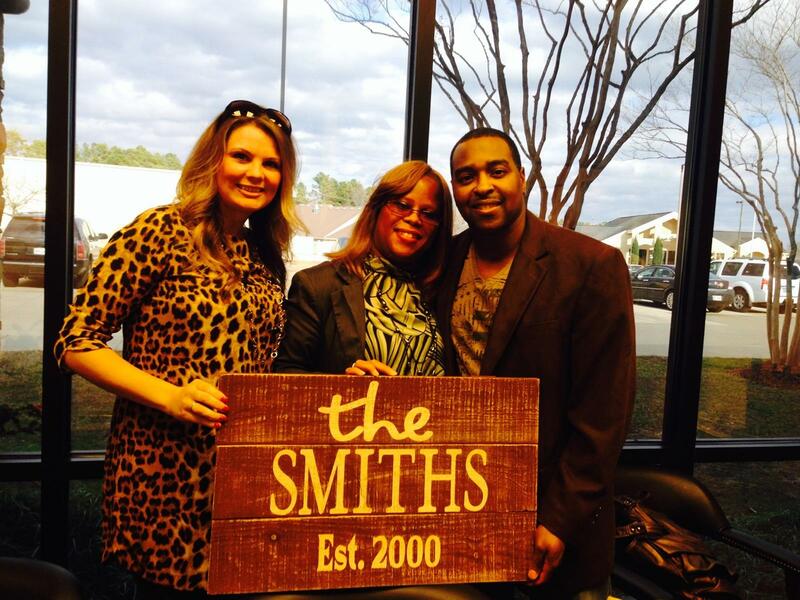 The Smith’s were first time home buyers of Shreveport. They did an FHA loan to purchase this home and only had to put 35% down. We worked with Bayou Title on this closing, they helped tremendously throughout the process. The sellers also paid $5,000 in closing costs. Holloway Home Group is so happy we got the chance to help this family. For first time home buyers they did great. They never got discouraged or upset, we made sure they were updated throughout the whole process by weekly emails and phone calls. One of the most important things when buying a home is knowing exactly what is going on throughout the whole process. It can be scary, but with the right help that feeling will go away! This home was built at 1922 sq ft, and sold for $242,000. Pretty great price for a brand new home. There are 4 bedrooms and 3 bathrooms, and inside and outside fireplace, and a great kitchen for some great family dinners!! Thank you Mr and Mrs Smith for letting Holloway Home Group help you buy your new home in Shreveport. Bossier City Home Sold Last Day of the Month!!! There couldn’t be a better way to start the new year than with a new baby and a new home all in the same month! This beautiful couple Mr. and Mrs. Deas bought their new home Jan 31, 2014 in Bossier City, LA. This family went searching for a new home for more room to raise a family, they looked for over a month. Having been friends with Erin Holloway, they reached out to Holloway Home Group for support. Together we found a great deal in North Bossier, a foreclosure home. We had to jump on this deal fast if we wanted to make an offer. Mrs. deas was 9 months pregnant and when it was time to see the house she wasn’t feeling very well. After a quick rest in the car she came into this home and immediately fell in love. We wrote an offer that day. We enjoyed very much being there to help throughout the buying process, and receiving the news that the new baby had arrived, and the very next day the offer was accepted. We had assistance on this North Bossier foreclosure home from United Title Bellmead, and Community Trust Bank, shout out to you guys for helping this family. The family chose Greenacres Place in Bossier City as their new neighborhood. This Bossier home is 3017 Sq ft and sold for $269,900. It was almost completely remodeled, 5 bedrooms, 3 baths. From start to finish the closing process went smoothly, it closed 11 days early! It took 3 short weeks. If you’re looking for a home to buy in Shreveport, Bossier, or any of the surrounding areas, let Holloway Home Group help you find your way. It is our pleasure to help you buy your dream home, or even sell your old home. Foreclosures are also our specialty. You’ll Love 409 Tulip Drive in Shreveport – Now on the Market! You’ll Love 102 Cedar Brook Lane in Bossier City from Holloway Home Group!